On the 30th of January 2019, Vice Chancellor Professor Munashe Furusa addressed students and staff at the Africa University main campus in the Kwang Lim Chapel. 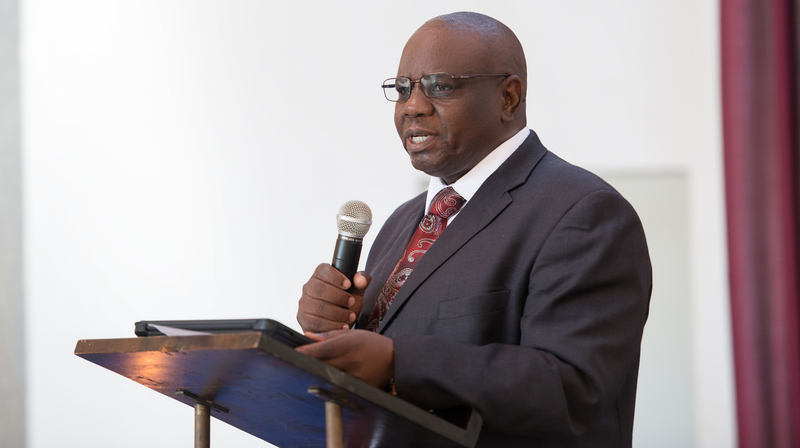 In his annual address, Prof. Furusa took the time to welcome both students and staff back to the institution from the festive season expressing thanks for the numerous blessings from the previous year 2018. Sharing his vision for the coming year, the Vice Chancellor encouraged the university to embrace technology and to find ways to integrate it into their teaching and learning. In true Pan- African spirit and in keeping with the inclusive and diverse cultures of Africa University, Prof Furusa urged those in attendance to embrace one another’s differences with open minds and open hearts. Both students and staff were urged to seek out new experiences amongst each other and to integrate to uphold the colourful community that has become an integral part of the university brand and identity. In closing the Vice Chancellor invited the university community to work towards the vison of propelling the institution to greater heights and becoming a hub for innovation, enterprise development, collaboration and sustainable growth for the continent and beyond.